So here we are May 24th, 2017 and the ZX Spectrum Next program has been fully funded on Kickstarter. That may not sound like much to an outsider, but it’s actually kind of a big deal to ZX Spectrum fans and/or vintage computing lovers alike. Over the past few years Kickstarter and other crowdfunding sites have seen numerous ZX Spectrum projects come and go. Some of these have failed to get funded, some got funded and fell apart immediately after, while still others are marred in controversy with no final product delivered to backers as of yet. So when the ZX Spectrum Next project appeared on Kickstarter last month many of us were a bit skeptical, till we watched the video and did our homework. Instead of getting a flight of fancy with pretty 3D rendered drawings, we instead got a well thought out and feasible sales pitch, put together by folks who actually knew a thing or two and had the experience to make it happen. So after considering it carefully for about a week I decided to back the project myself to see where it went. To say the least where it went was extremely surprising, and has even left it’s creators somewhat speechless. 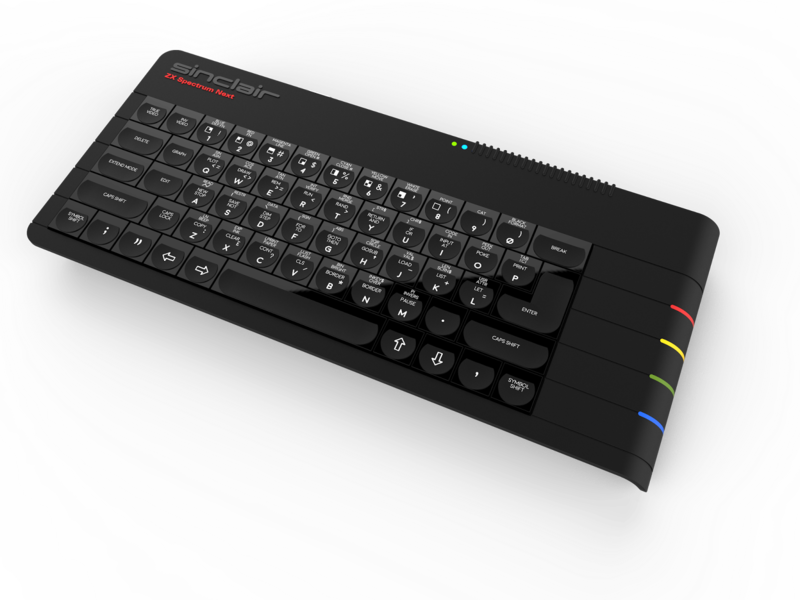 With less than 48 hours to the ZX Spectrum Next program began ripping through its stretch goals, and raised nearly 3 times as much as the project’s main goal. As both a gamer and someone with an interest in vintage computing the ZX Spectrum series of computers has always had a somewhat legendary status. The problem is as an American gamer and vintage computer enthusiast the ZX Spectrum family has always been somewhat unattainable, since the Spectrums were a British made computer, and being so only worked on PAL televisions and monitors. This meant that a working system would have to not only be imported, but one would have to find a PAL monitor, or some conversion device. All this added up quickly, and in the end one was taking a chance buying a vintage computer, and investing a lot extra to get it to work. Of the Spectrum did make a domestic appearance for us in the US in the 1980’s in the form of the Timex Sinclair. But, many of the Spectrums classic programs and features didn’t directly port over, meaning American users of the system didn’t get the legendary system at its best. 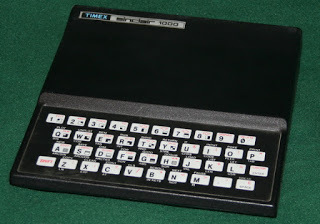 Instead the North American Timex version was basically a bare boned version of its UK counterpart, underpowered as a gaming platform, and mainly meant to be a cheap entry level computer for home business and student means, i.e. a cheap family computer. When the new ZX Spectrum Next project appeared on Kickstarter, what peaked my interest was that it was optimized and modernized version of the old Spectrums. What really sold me though, was that the ZX Spectrum Next was able to be easily switched between PAL and NTSC formats, all while outputting on HDMI. That means someone in the US (like me) could could output the ZX Spectrum in all it’s glory to NTSC, and in HD. Of course I also failed to mention that the Next is not only enabled to play Spectrom ROM’s via SD card, but can connect to original Spectrum hardware such as tape drives. This means all those classic Spectrum tape games that were formerly off limits to us in North America, are now playable for many of us if we care to experience them in their original formats. The system is also being given a nice mix of original and modern features, like the above mentioned SD card slot, and HDMI output, as well as Wifi capabilities, and USB access. As of the end of the auction the expected delivery date isn’t until January of 2018, but I have my fingers crossed for an earlier delivery. One I receive the system I’ll be sure to put video up on my YouTube channel of the system in action.